Update: It looks like the game won't be available for Linux. Though the engine itself is open source and cross platform, the game uses many external plugins that don't work on Linux. Apologies for providing wrong information. Kenshi is a free-roaming squad based 3D role playing and strategy game by Lo-Fi Games, taking some inspirations from Mount and Blade. The game focuses on open-ended gameplay features rather than a linear story. You can be a trader, a thief, a rebel, a mercenary, a business owner, a doctor, a bandit... the list goes on. 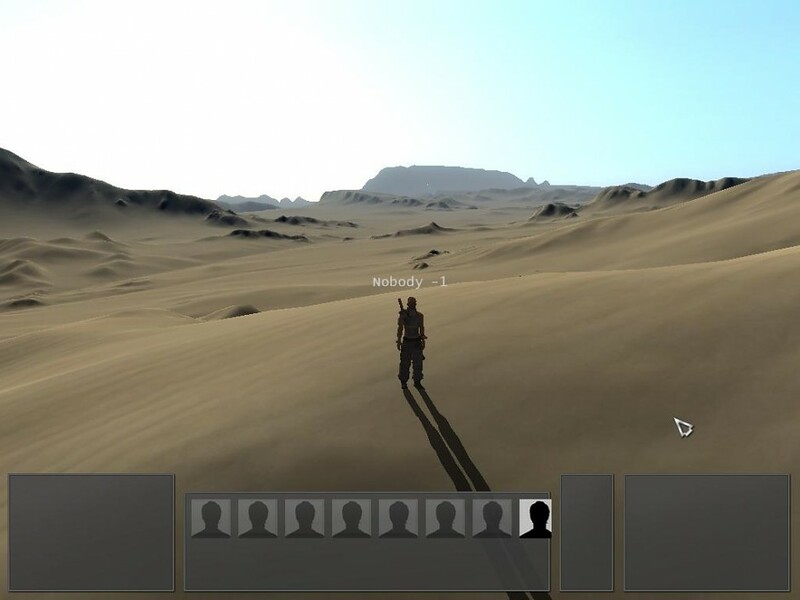 In the game you will be able to aid or oppose the various factions in the world while striving for the strength and wealth necessary to simply survive in the harsh desert. You can purchase and upgrade your own buildings to use as safe fortified havens when things go bad, or use them to start up a business. Train your men up from puny victims to master warriors and carry your wounded squad mates to safety and get them all home alive. The game is currently heavily under development and an Alpha build and a demo is available for Windows. However the game will be available for Linux too as one of the game devs have commented on Desura that porting it won't be a tough task since it uses open source and cross platform Ogre3D Engine. The game looks really awesome and I would certainly pay for this when it comes out. Watch the trailer yourself.